There are as many models for “buyer roles” in the sales marketplace today as there are sales methodologies. But as is often true with a tool that works (you’ll pry my Moleskine notebook from my cold, dead hands) I have my favorite model for buyer roles too – the “Buying Influences” of Robert B. Miller and Stephen E. Heiman. “Selling” should really be looked at through the buyer’s eyes. This was revolutionary and still remains a challenge in some organizations. The single-sale-to-single-buyer paradigm is no longer relevant. 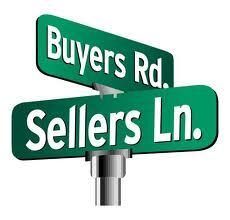 Buying is done by a group, either in organized or loosely federated teams. This is a truth to this day, arguably accelerated by the internet and social media providing the opportunity for buyers to be more educated than ever, and instilling a drive to have a voice in collaborative decision-making. User: The person or people who will interact with the solution on a daily basis. Technical: the person or people who will need to deeply understand the solution or do the care and feeding. Coach: An active fan of your solution, who will help you sell it into their organization. The salesperson should incorporate this into the sales strategy. If you’re still looking at selling from the inside out, and think you have one buyer per sale, it is a very valuable exercise to dust off your copy of this book (or get digital and download it to your Kindle) and do a gut check. You’ll be glad you took the time to sell under the influence! This entry was posted in Sales and tagged Buyer, Buying Influences, Miller-Heiman, Neil Rakham, Robert B. Miller, Sales, Social Media, Stephen E. Heiman on August 30, 2011 by Tim Kocher.